Jeremy Corbyn announced this morning that shadow home secretary Diane Abbott is to be replaced by Lyn Brown, the shadow policing minister, “for the period of her ill health”. Abbott’s contributions to the campaign have not been without their critics, so there are questions around whether it is a tactical decision or a genuine health concern. Clearly the Conservatives polling shows that Abbott as a weak link to be exploited. 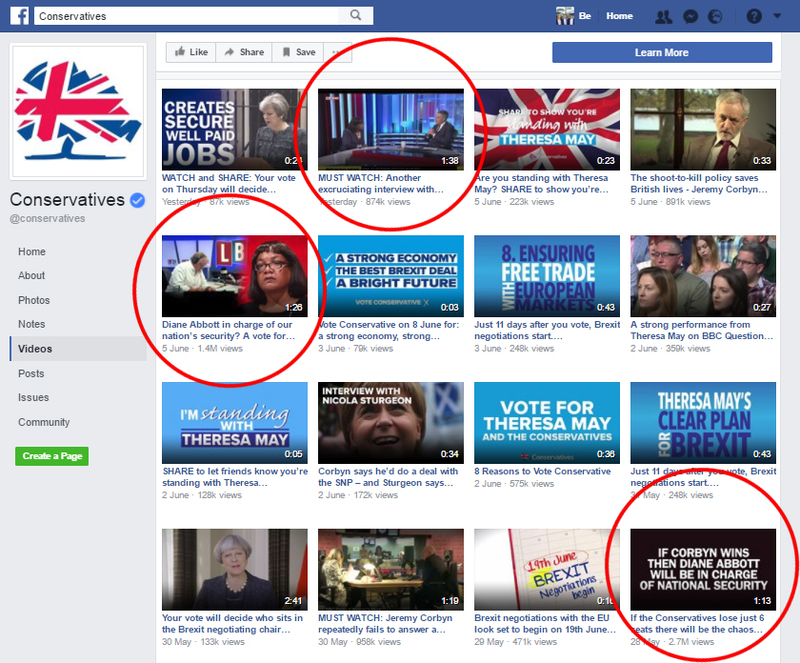 As you can see from the graphic below, the Tories have run adverts attacking the shadow home secretary that have been viewed nearly 5 million times in just the last 10 days on Facebook alone.